Note: Since I have a Windows machine this tutorial will focus on that platform. You will need the JDK to develop in Java. You can get the latest JDK at the Oracle website. Make sure you download the Java SE 8u201 / Java SE 8u202 and make sure you download the JDK (not the JRE). The IDE (Integrated Development Environment) is where you will write all your code. You will need an IDE for Java development. You can use any IDE you like, but most tutorials use Eclipse, and since I like Eclipse I will follow suit. If you download the Eclipse Installer and run it you will be given an option on which IDE to install. 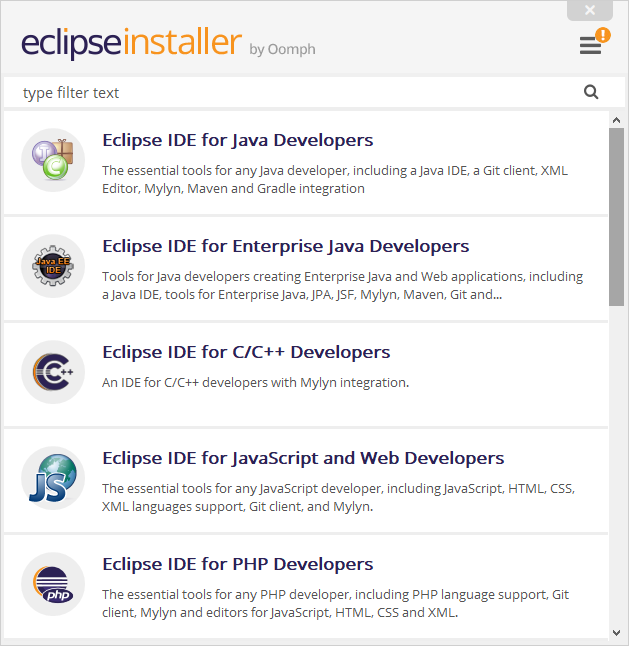 We need to choose Eclipse IDE for Java Developers. You can then select a directory to use as your first workspace. If you have many hard drives you should choose the one that has the most free space. At the time of writing 1.12.2 was the latest stable version that Forge supports. The following tutorials will focus on that version for modding Minecraft. From here we need to run three commands. Some of these commands will take a while to run so be patient. This will setup the project and give you a list of tasks you can run. This will decompile MineCraft and set up the project ready for modding. This command will take a while, especially if you have a slow internet connection. This will set up the Eclipse project. 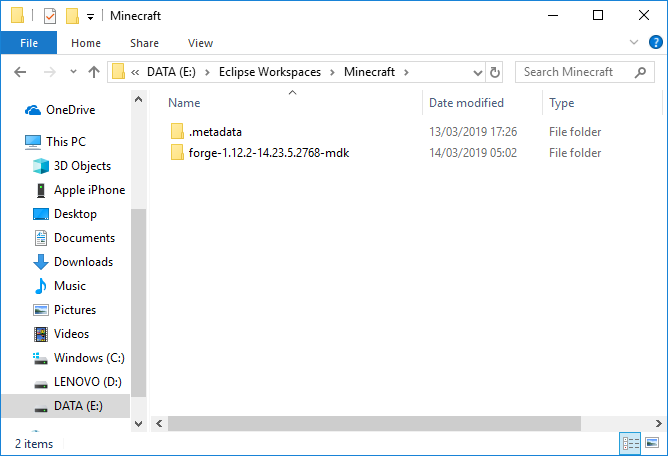 And that’s it – we can now start modding Minecraft! But first we should think about Source Control. 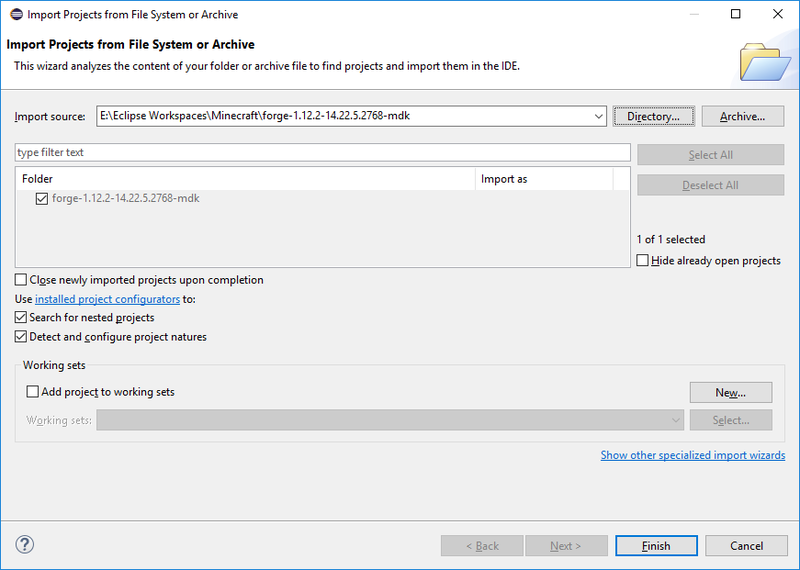 Source control helps you track changes to projects over time. It can help you back up and revert changes that may have messed up your code. It’s vital for any development project, even if you work alone. In my professional life I prefer Perforce, but Github is great for open source and solo projects. You can create a github account at their website. 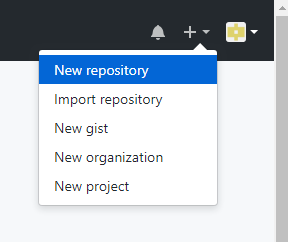 Once you have done so, click the + in the top right to create a new repository. Give the project any name you like then note the URL of the project. This will initialise a git repository. This will tell git which repository to upload your code. Replace <URL_TO_YOUR_REPO> with the repo you created in git. For example, https://github.com/doc-bok/DaggerMod is my repo. This will add all files in the folder to the local repo. Don’t forget the dot at the end of this command. git commit -m "My First Commit!" This will commit the files to the local repo, saving their current state. Finally this will upload your changes to the remote repo on github. You could also download Git for Windows and use that instead. Here are a couple of tutorials I found useful for this. The Medium article sends you to an old version of Forge but it still contains useful information. Supergerrie2’s site contains many other tutorials for 1.12 modding that I’ve found useful so far.